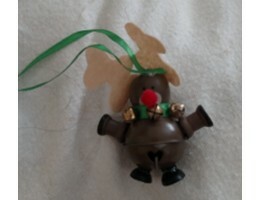 Whether you're looking for Christmas ornaments or something for Easter, check here to see what we have! 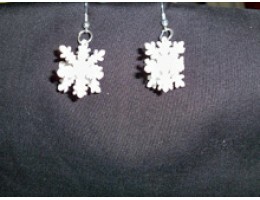 You can have your snow and wear it too! 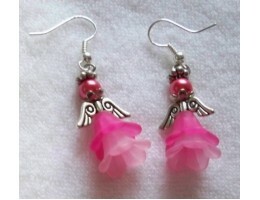 These adorable earrings are made with 3-dimensional plastic ..
Adorable Angel Drop earrings made with glass and acrylic beads have sweet little wings to charm your.. 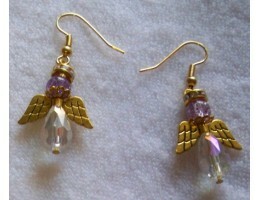 These adorable Angel Drop earrings made with glass and acrylic beads have sweet little gold wings to.. 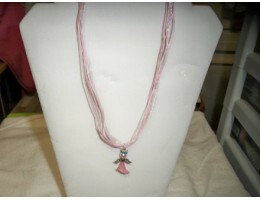 These adorable necklaces are created by me from various types of beads and spacers as well as sweet .. 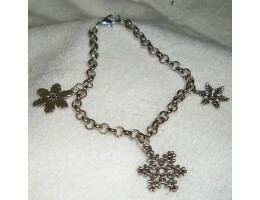 This sweet charm bracelet has winter-themed charms on it. 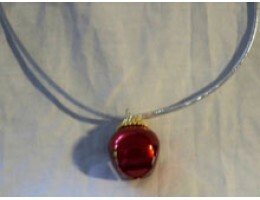 Fits an average-sized wrist.Made of bracel..
Jingle your way through the holidays! 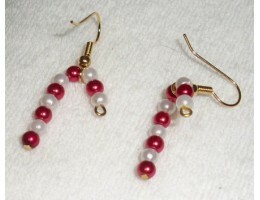 These earrings come in a variety of colors and are made with r..
An adorable way to dress up any outfit! 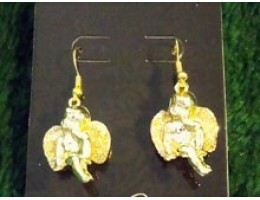 These earrings come in a variety of colors and are made from..
Adorable earrings to wear with any winter outfit!.. 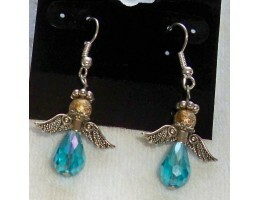 These adorable angel earrings have double lily flowers as their skirts and small beads or pearls for.. 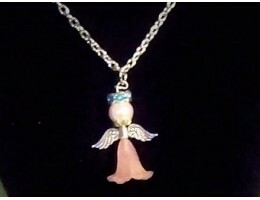 These sweet necklaces go perfectly with the Angel Drop Earrings offered on this site! 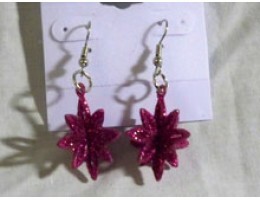 Made from acry..
Funky snowflakes in crazy colors!.. 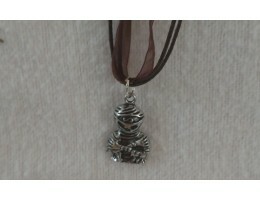 These adorable necklaces are the perfect touch to your Halloween costume this year or to wear with a.. 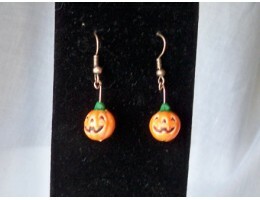 These adorable little Jack O'Lantern earrings are the perfect touch for your Halloween wardrobe! 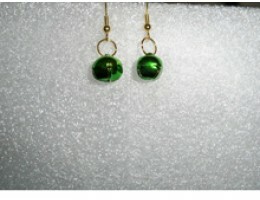 Mad..
A perfect match for our Jingle Bell Earrings! 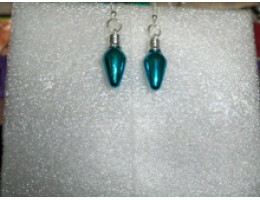 Choose from a blue, gold, green, red, white, or silver.. 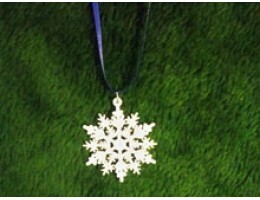 Wear a pretty snowflake around your neck that won't melt! 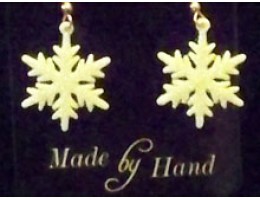 The perfect match for our snowflake earrin.. 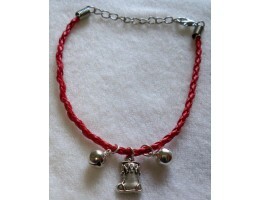 These adorable bracelets have the cutest Christmas charms, bells, and beads you ever saw! They would.. 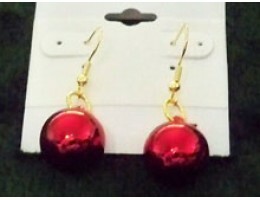 These adorable little earrings are just perfect for Christmas! Candy canes made from red and white p..
Let's play reindeer games! These adorable ornaments will be the talk of the town. With the body made..